Predicting how human activity will influence the response of alpine grasslands to future warming has many uncertainties. In this study, a field experiment with controlled warming and clipping was conducted in an alpine meadow at three elevations (4313 m, 4513 m and 4693 m) in Northern Tibet to test the hypothesis that clipping would alter warming effect on biomass production. Open top chambers (OTCs) were used to increase temperature since July, 2008 and the OTCs increased air temperature by approximately 0.9°C ∼ 1.8°C during the growing in 2012. Clipping was conducted three times one year during growing season and the aboveground parts of all live plants were clipped to approximately 0.01 m in height using scissors since 2009. Gross primary production (GPP) was calculated from the Moderate-Resolution Imaging Spectroradiometer GPP algorithm and aboveground plant production was estimated using the surface-measured normalized difference vegetation index in 2012. Warming decreased the GPP, aboveground biomass (AGB) and aboveground net primary production (ANPP) at all three elevations when clipping was not applied. In contrast, warming increased AGB at all three elevations, GPP at the two lower elevations and ANPP at the two higher elevations when clipping was applied. These findings show that clipping reduced the negative effect of warming on GPP, AGB and ANPP, suggesting that clipping may reduce the effect of climate warming on GPP, AGB and ANPP in alpine meadows on the Tibetan Plateau, and therefore, may be a viable strategy for mitigating the effects of climate change on grazing and animal husbandry on the Tibetan Plateau. Fu G, Zhang X, Zhang Y, et al. (2013b) Experimental warming does not enhance gross primary production and aboveground biomass in the alpine meadow of Tibet. Journal of Applied Remote Sensing 7(1). DOI: 10.1117/1111.jrs.1117.073505. Jiang L, Guo R, Zhu TC, et al. 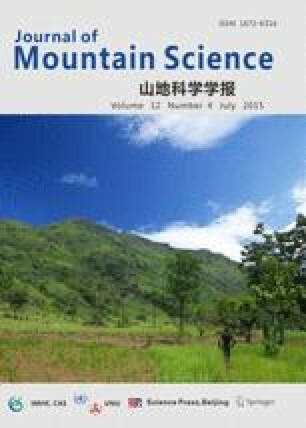 (2012) Water- and plant-mediated responses of ecosystem carbon fluxes to warming and nitrogen addition on the Songnen grassland in Northeast China. PLoS ONE 7(9). DOI: 10.1371/journal.pone.0045205.